Top-Rated Oven Cleaners in Northfields W13 | RDA Cleaning & Maintenance Ltd.
We are proud to announce you that 95% of the feedback left on our trustworthy oven cleaning services is positive. And we know that this gratitude and regular appearance of new clients by a recommendation from another, old and loyal client, are due to the amazing teams of hard-working oven cleaners we can brag about. All of the cleaners are hired after serious audition regarding their professional experience, previous training and qualification attending courses, personal skills and motivation for hard work. Speaking of which, the enthusiastic never leave a place with unfinished job. And aside from the great final outcome, with our affordable and effective service, you will also receive free tip on cooker, range oven, stove cleaning in Northfields W13! Hurry Up & Book A Trustworthy Oven Cleaning Company In Northfields W13 Now! RDA Cleaning & Maintenance Ltd. is waiting for your orders and calls for more additional information on this phone number 020 3404 1646! 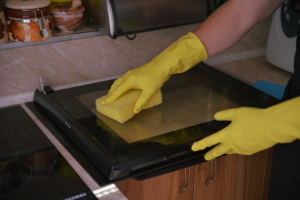 Get a free quote now and you can receive quality oven cleaning service in Northfields W13 by the end of the day.